Mick Channon’s five-year-old has been running with great credit this winter at just short of this mile trip, including as an honourable third under top weight in a decent Kempton handicap last month. In this fast-track qualifier, she instead receives 3lb from likely market rival Clon Coulis - and has very little to find on the ratings to get her head in front for the first time since her Newmarket victory in October. This is a tight contest, full of in-form contenders in just a five-runner field, but Pattie’s credentials are best. Half-an-hour earlier on a highly-competitive evening card, the stamina test for another fast-track qualifier, the Bet totequadpot At totesport.com Conditions Stakes, may go the way of Aircraft Carrier. John Ryan’s colt is on a four-timer after two wins at Wolverhampton and one here either side of Christmas, and it was a dour staying performance that saw him get the better of some fair performers when he moved up to this marathon trip on the most recent occasion at Dunstall Park. That represented significant improvement, and a reproduction of a similar level can see him prevail again in this good company. In the Bet toteexacta At totesport.com Handicap, a slight drop in trip to six furlongs could be key for Enthaar. Stuart Williams’ gelding has been struggling of late to get home over slightly further, and consequently finds himself on a very feasible mark against some more exposed opponents. 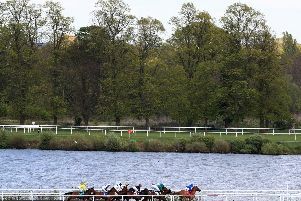 Frisella is the obvious answer to the Bet toteswinger At totesport.com Fillies’ Novice Stakes. John Gosden’s three-year-old will be hooded for the first time after failing at Wolverhampton in November to build on the promise she had shown when a close second on her Haydock debut last summer. Up in trip again here, she should have this field covered. The 16-runner COFCO International Supporting Prostate Cancer UK Handicap is not an obviously successful getting-out stakes - but Tabou Beach Boy may just be a handy lurker. Mick Easterby’s gelding was beaten just a short head on his handicap debut, at a lowly level at Wolverhampton in January, having shown precious little and attracted zero market support in his three previous attempts. Over jumps at Carlisle, Bold Plan can get the job done in the Plough Novices’ Hurdle. Evan Williams’ five-year-old had some highly promising form in the book even before he beat subsequent Grade Two winner Southfield Stone at Taunton last month to break his duck over hurdles at the third attempt. Bold Plan has a Coral Cup entry next week, but even a winner’s penalty would give him little chance of getting a run at Cheltenham. This is therefore the priority, and the stiffer track ought to be to the advantage of the former Irish point-to-point winner. Barrakilla has been waiting for his favoured soft ground and will get it in the Eden Open Hunters’ Chase. Fergal O’Brien’s hunter, in the same ownership as Bold Plan, has an excellent record fresh - and this is his trip too. The 12-year-old should not be missed on what is likely to be a winning stepping stone on his way back to another crack at the Aintree Foxhunters in which he was fourth last year. It usually pays to take notice when any of Paul Nicholls’ horses start to improve, and that is exactly what happened with The Dellercheckout at Taunton last week. 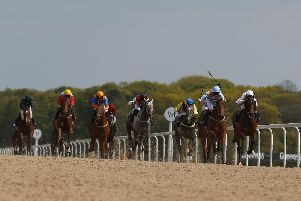 The six-year-old’s victory seven days ago was well in advance of previous achievements, and over a similar course and distance he may well hit the bullseye again under a 7lb penalty in the Wincanton Handicap Chase. CARLISLE: 2.20 Cottonvale, 2.50 Bold Plan, 3.25 Ask Paddy, 3.55 Christmas In Usa, 4.30 Molly Carew, 5.05 All About You, 5.35 Barrakilla. CHELMSFORD: 5.25 Mans Not Trot, 5.55 Enthaar, 6.25 Aircraft Carrier, 6.55 PATTIE (NAP), 7.25 Frisella, 7.55 Rubensian, 8.25 Tabou Beach Boy. SOUTHWELL: 3.00 Dolly Dupree, 3.35 Rajapur, 4.05 Alpha Tauri, 4.40 Dories Delight, 5.10 Jazz Legend, 5.40 Tricky Dicky. THURLES: 2.00 Moyhenna, 2.30 Gentleman Duke, 3.05 Cash Back, 3.40 From Eden, 4.10 Walk Away, 4.40 Smoking Gun, 5.15 Conflated. WINCANTON: 2.10 Bazarov, 2.40 Johnbb, 3.15 The Dellercheckout, 3.45 Miranda, 4.20 Marcel Debruxelles, 4.55 Sandford Castle, 5.30 Sense Of Adventure.